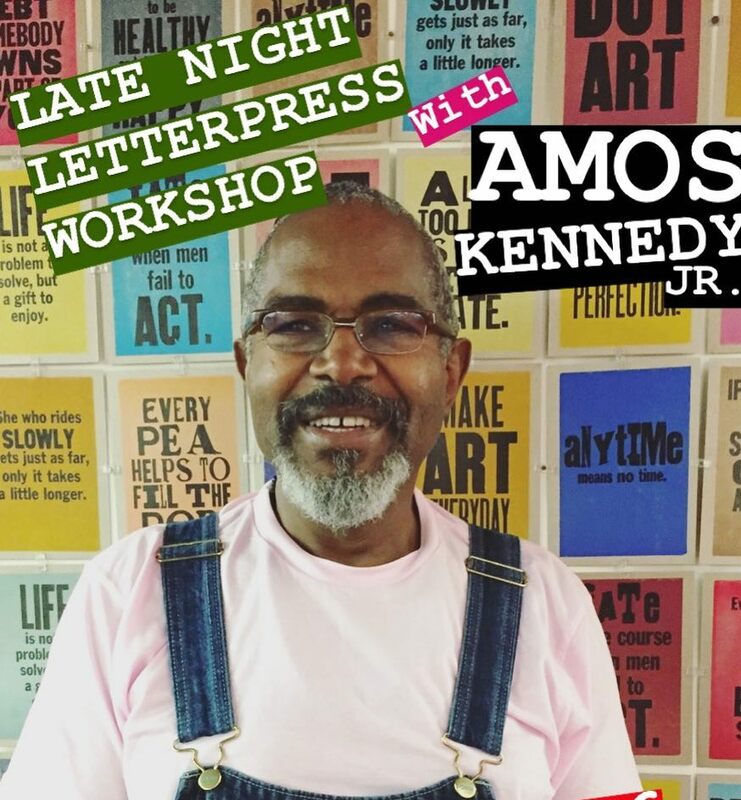 Come work late into the night with Amos Paul Kennedy Jr. and our new collection of wood type courtesy of the Valentine! We will make posters - dozens of posters - using letterpress type, proofing presses, and our ingenuity. What will they say? We don't know! But whatever it is, it's sure to be Interesting and Important. Limited space so sign up fast! Coffee, drinks and light snacks included. Every participant gets a "Richmond Start Telling Men to Smile" print, courtesy of Amos and Studio Two Three.